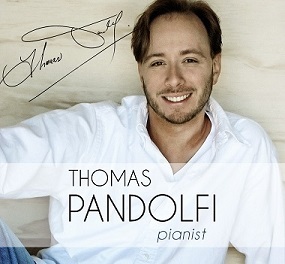 Heard a concert by Thomas Pandolfi, whom I had heard some years ago at the McLean Community Center. I was impressed then, and even more impressed now. The first half of the concert was all Chopin: Nocturne Nr. 2, Op. 9/2 (which I used to play in my youth), Revolutionary Etude, Heroic Polonaise (A-flat, Op. 53). Fantaisie Impromptu. The second half was devoted to American Music: Tunes form Bernstein’s West Side Story, arranged by the pianist, and Gershwin’s Rhapsody in Blue transcribed for solo piano by the composer. My impressions: The Chopin was mostly done perfectly (especially the Etude and Fantaisie), but the Polonaise was a little fast for my taste – but still, every note was clearly articulated with no slurring. The Bernstein and Gershwin were performed with great virtuosity, but I did not care for piano solo version of Rhapsody – the color and sonority of the orchestration was sorely missed. But this is no fault of the pianist. There was no printed program - he announced each work verbally and added interesting commentary about it. As he said, Chopin is his favorite composer, and he surely shows a great affinity for his music, talking about the incorporation of Chopin's melodies in popular songs, and describing the differences between the 3/4 rhythms of waltz, mazurka and Polonaise. I look forward to hearing him again.